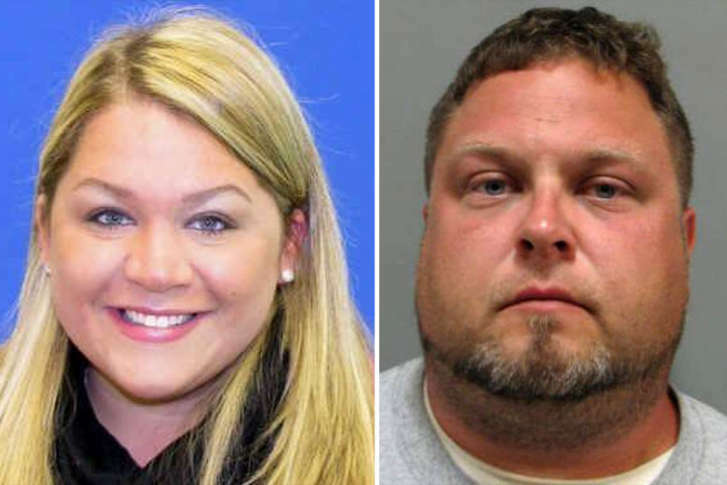 Prosecutors will seek life in prison with no chance of parole for a Maryland man — Tyler Tessier — charged with murdering his pregnant girlfriend, Laura Wallen. WASHINGTON — Tyler Tessier told detectives he shot his pregnant girlfriend once in the head because he was afraid he had buried Laura Wallen alive, but jurors won’t hear his alleged confession — at least, not in his own words. Jury selection began Tuesday and resumes Wednesday morning in Montgomery County Circuit Court. Tessier is accused of first-degree murder in the death of Wallen, a Howard County teacher who had disappeared in September of last year. Before beginning the process of winnowing jurors, Circuit Judge Michael Mason gave a brief description of what the case involves, using facts stipulated to by both prosecutors and the defense. Before potential jurors entered the courtroom, Mason told the attorneys he intended to tell potential jurors about the maximum penalty facing Tessier. “I think it’s appropriate for them to know this is not a death penalty case,” Mason said. Tessier’s attorney, Allen Wolf, objected. Prosecutors have painted Tessier as a lying two-timer who changed his story several times before finally confessing to shooting Wallen in the head. Wallen’s body was found more than a week after her disappearance, in a shallow grave in a Damascus, Maryland, field near a house where Tessier was staying. During pretrial motions and hearings, prosecutors have not specified a motive for the murder, and Tessier’s public defender has not telegraphed what possible defenses may be raised. However, Montgomery County State’s Attorney John McCarthy, and prosecutors Donna Fenton and Mary Herdman, said Tessier had been in an on-and-off relationship with Wallen, who was 14 weeks pregnant with Tessier’s child, though he had recently gotten engaged to another woman. Shortly after Wallen disappeared, Tessier sat with Wallen’s parents, Mark and Gwen, during a Sept. 11, 2017, police news conference, and tearfully pleaded for her safe return. Tessier had repeatedly denied harming Wallen. While Tessier held Gwen Wallen’s hand, Montgomery County police already believed Tessier had murdered Wallen. They made the calculated decision to include Tessier in the family news conference to watch his behavior. After the news conference, Tessier allegedly told police he had helped Wallen “disappear,” at her request. Tessier told detectives that Wallen was upset because she was having another man’s child and was concerned she would lose her job over the relationship. According to prosecutors, he admitted to driving her car twice, and said he disposed of her car’s license plate and her cellphone. In addition, Tessier admitted to sending text messages from Wallen’s phone to her sister, pretending to be Wallen, on Labor Day 2017. Wallen’s body was discovered Sept. 13, 2017, in a shallow grave on Prices Distillery Road. Police believed she had been shot once in the back of the head. Tessier was arrested, waived his Miranda rights, and was questioned by Montgomery County police detectives Mark Janney and Katherine Leggett. “The defendant stated he did not call for help and that he believed she had died from striking her head on the porch post,” according to prosecutors, and he buried Wallen in the field. Tessier’s public defender Allen Wolf argued his client’s confession came after he had asked several times for his lawyer. In June, Wolf and prosecutors told Mason they’d reached an agreement that prosecutors won’t play the videotaped interview or quote from the interview, unless Tessier takes the stand and contradicts what he said in the interview. Last week, prosecutors said a total of four .22-caliber rifles were located on the premises of a wild game processing facility, KS Kuts, in Damascus, owned by a friend of Tessier’s. Tessier was staying with the friend when Wallen was murdered and buried nearby. The trial is expected to last 10 days. McCarthy has said he intends to seek life in prison, with no possibility of parole.